And yeah, it's not a miche. I prefer batards - and the beauty of home baking is that you are free to customise as you please. I also like to take the option of adding a proportion of rye to the dough. 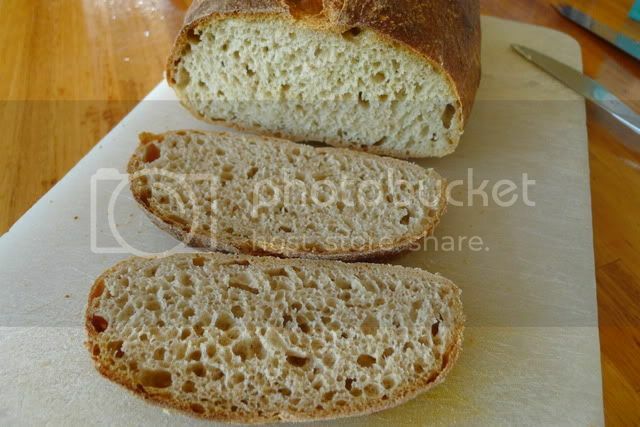 This crumb is spongy, which I really like, with a cool mouthfeel, nice structure and elasticity, a lovely creaminess about it, and nutty flavour tones that develop in depth and complexity the day after the bake. The crust has character, but is not so robust as to be tooth-endangering (conscious of this at the moment, having recently needed a crown due to chomping over-zealously on a pizza and breaking a back molar that had been sending me warning signals that all was not right for many months...dental phobics have unlimited capacity to ignore such signals). 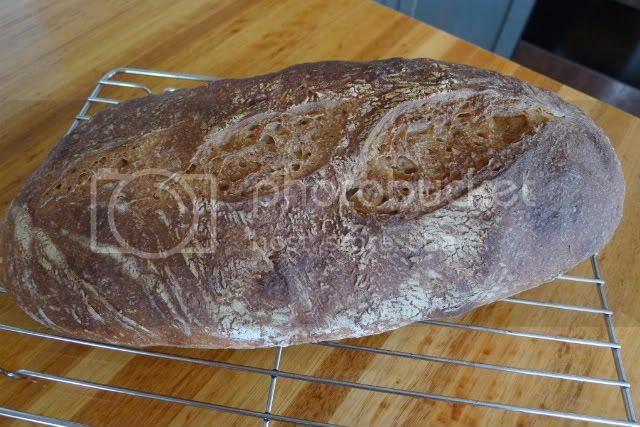 This 'House Miche' - er, batard - is an old friend that I'm going to make more effort to stay in touch with from now on. Well worth inviting to your table, if you haven't already.